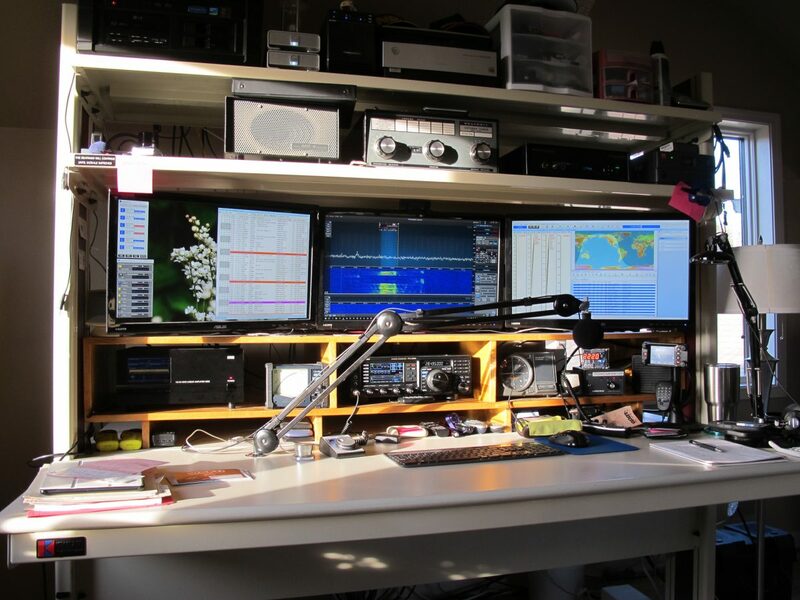 First licensed in 1987 as a Technician, I was active on the KC 2m repeater scene for several years. As an apartment dweller I tried a bit of HF with less than an ideal outcome, causing RFI to all of my neighbors. Had a station at our house for a few years, but focus on other aspects of life and hobbies caused me to step away from the hobby for close to 20 years. 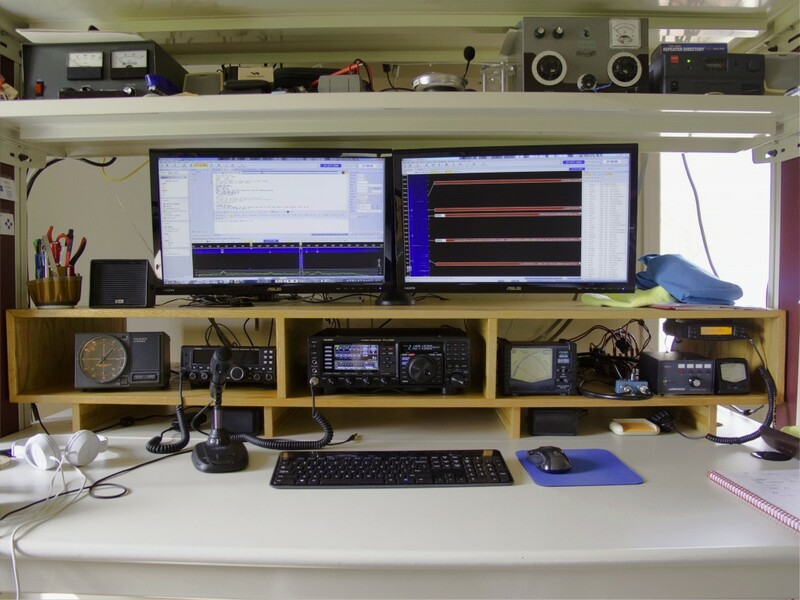 I am enjoying the modern computer integrated shack and use Ham Radio Deluxe for rig control, logging and digital modes. The PC is something I put together with parts from the local Micro Center. 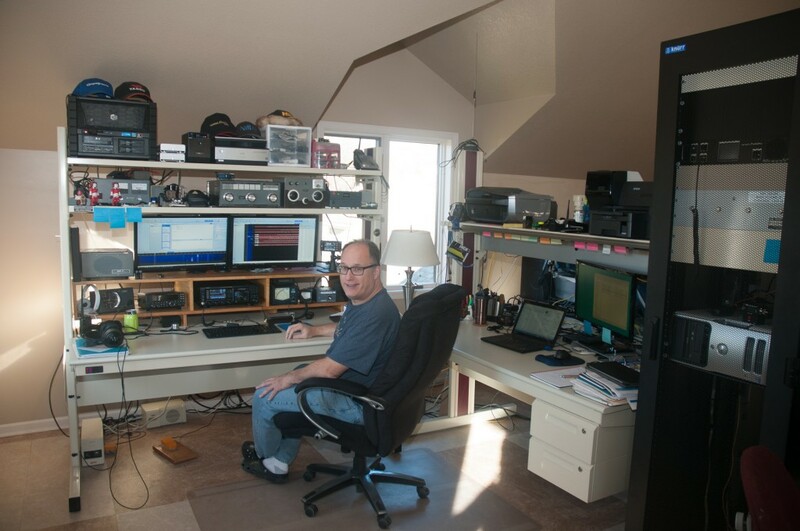 The main HF rig is a Flex 6500 with a Yaesu FTDX3000 in backup. 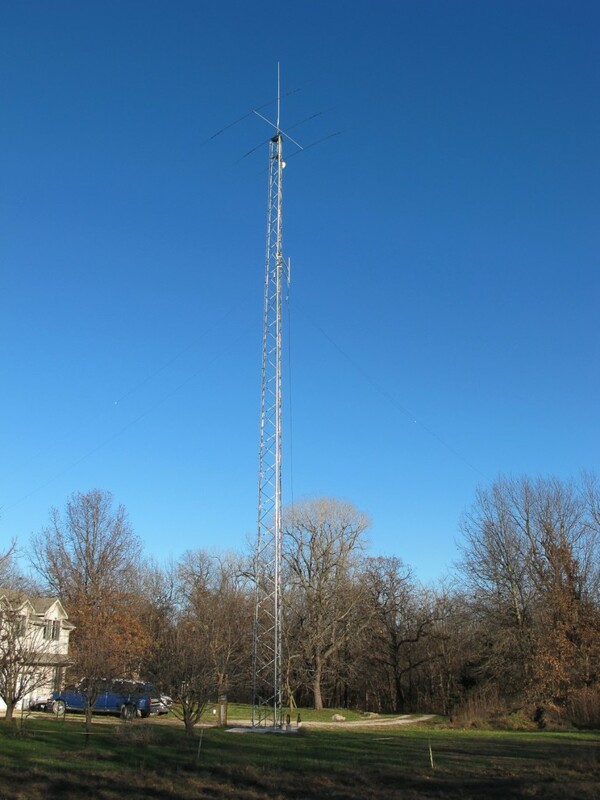 Became re-interested in late 2014 and installed a tower at the house and began to establish an antenna system. Also focused on upgrading my license class and upgrading my radio gear to something more current than the several decade gear I had pulled back of the shelves. For antennas a Cushcraft A3s is turned by a Yaesu G800SA, a Diamond X50a mounted on the cross-arm provides access to the local repeaters. Mounted above the Tribander is a 15ft UHF monobander for the N0IAI repeater. Inverted V’s for 40,80 and 160 (not shown old picture) hang from the cross member.